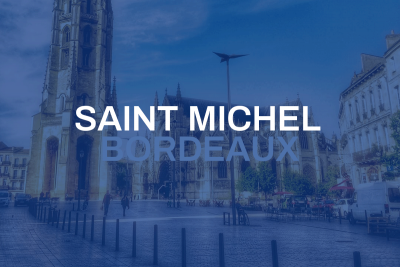 Referred to by locals as ‘Saint Mich’, the neighbourhood of Saint-Michel has seen a stark transformation over the past decade but it is still a melting pot of cultures. It has seen a triumphant rebirth, with a renovation project initiated in 2007 seeing efforts concentrated on restoring emblematic UNESCO listed buildings. Saint-Michel has always been considered as a district that is removed from the mainstream upmarket and traditionally bourgeois Bordeaux. With a strong autonomous identity and rejection of the imposed gentrification, residents are digging in their heels. With Cours Victor-Hugo as its frontier, the locals have always taken pride in the rustic low-cost and authentic “melting pot” atmosphere which has seeped from its streets since the Middle Ages. Today, the quarter is changing with many young and vibrant business opening. All the while, the cross-cultured atmosphere stays very present offering residents the best of both worlds. Nestled between Cours Victor-Hugo and La Victoire, the quarter is easily accessible via Tram C and is in walking distance of the centre of town and Gare Saint Jean.